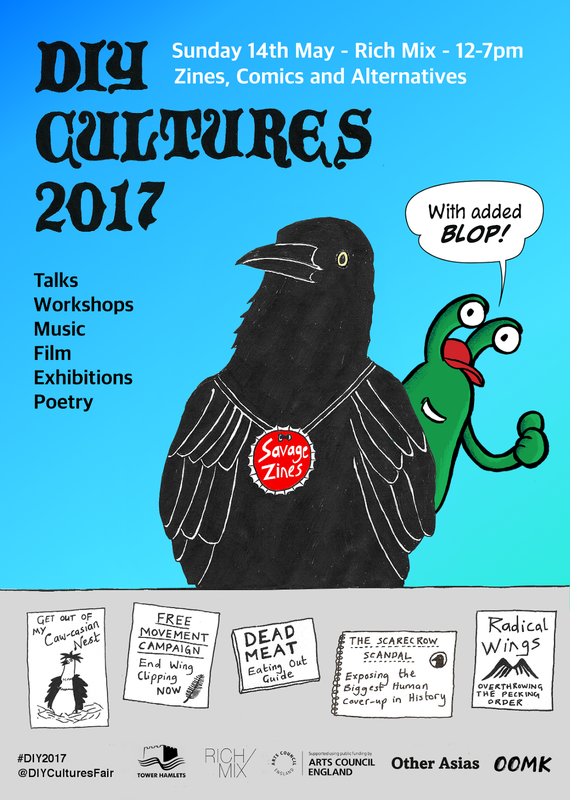 BlopShop's first book fair of the year is just over a month away. Alex will be returning to the Diy Cultures Fair, having first exhibited there in 2014. So come along to Rich Mix on Sunday 14th May and grab yourself some great limited edition books and prints...and there might just be a brand new book too! Of course, if you can't wait, you can always visit BlopShop.co.uk and check out Alex's zines today.